Where Can You Buy a 4D Printer? How Does 4D Printing Work? What is 4D printing? How does a 4D printer work? Read our essential guide to learn more about this amazing technology. In the wild and wonderful world of technology, there is always a new trending topic. Right now, 4D printing becomes the hot new topic. In this article, we try to give you an overview of 4D printing, it’s technology, uses, and implications. 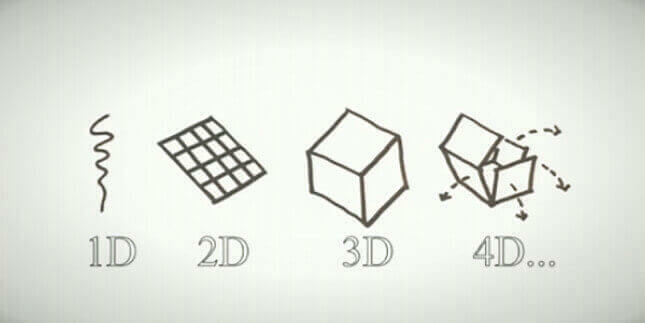 4D Printing What is 4D Printing? 3D printing, also known as “Additive Manufacturing”, turns digital blueprints to physical objects by building them layer by layer. 4D printing is based on this technology. With one big difference: It uses special materials and sophisticated designs that are “programmed” to prompt your 3D print to change its shape. So, basically, 4D printing is a renovation of 3D printing wherein special materials to print objects that change shape post-production. A trigger may be water, heat, wind and other forms of energy. 4D Printing Who Invented 4D Printing? You can’t really pinpoint 4D printing to one inventor. 4D printing is currently developed by many industry leaders and research facilities. As of 2017, the most important 4D printing companies/research labs are MIT’s Self-Assembly Lab, 3D printing manufacturer Stratasys, and 3D software company Autodesk. However, as you can see below, Australian and Singaporean researchers are rapidly gaining momentum. Their contributions extend the range of materials suitable for 4D printing and help in bringing the technology closer to marketability. 4D Printing Where Can You Buy a 4D Printer? The technology is still pretty much in research and development. In some labs or prototyping facilities, 4D printing is already used. You may also witness this technology as part of art installations and architectural exhibitions. But as a consumer, you can’t just walk into a store and buy a “4D printer” or get a license to “4D print” something. It is more likely that you will one day cross paths with 4D printing in your everyday life without even realizing it. Be it in the form of medical implants or mechanical systems that reshape their configuration with the change of environmental conditions. 4D Printing How Does 4D Printing Work? Imagine having a box that was printed with a 3D printer. That alone in itself is cool, but imagine if that box could automatically flatten itself for packing once it was impacted by some stimuli. It almost sounds silly when we just consider the impact of a box going from 3D to 2D (by flattening itself), but the impact that simple things like these can have in the business world is massive. For example, let us assume that a trucking company (we’ll call them Tucker Trucking for fun) has a warehouse where they store all of their shipping boxes. Whenever this trucking company receives a shipment of goods, they remove the goods from the boxes for delivery to their individual sites, and then they flatten the boxes to ship them back out to their departure point so that they can be re-used for other shipments. Now, imagine that this same company flips 5,000 trucks in a day. So, they have to hire 200 people to constantly break down the boxes for shipment back out. At $10/hour, assuming a 7-hour working day, Tucker Trucking is paying $14,000/day to these basic labor employees. So, by having boxes that flatten themselves upon stimulus, such a company could save approximately $5 million every single year! And this is just one example of how useful 4D printing could be! In 4D printing, you need some stimuli or trigger to start the transformation. These can include water, heat, light, or electrical currents. There are other forms of triggers, some of which have to be explored in depth through research. For some of the 4D printing processes, you need special materials that are able to react to these triggers. It’s making the objects “programmable” and execute their 3D printed “genetic code” whenever you want to have it triggered. Other research labs focus on “programming” the object’s desired shape into the micro-structure of standard materials. This approach makes use of the capabilities discovered in microscopic structures. When these are correctly configured, they evince the desired deformation of the macro-structure. 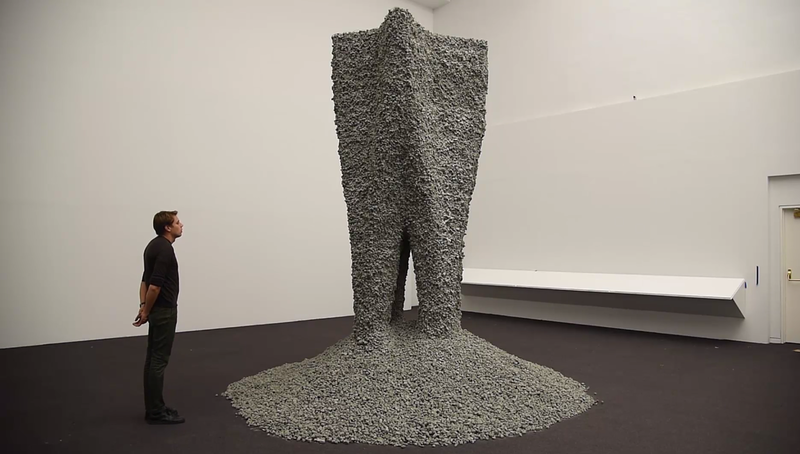 The advantage being that 4D printed objects can harness existing 3D printers and materials. Meanwhile, at MIT’s Self-Assembly Lab, Assistant Professor Skylar Tibbits is working on taking 4D printing to the next level. As he states in his TED talks, Tibbits has always been fascinated with the capabilities of 3D printing. But he wanted to know how someone could get an object to change shape (i.e. what 4D printing allows for) with accuracy and precision. In 2014, MIT approved a grant for Tibbits to open his new Self-Assembly Printing Lab. Since then, Tibbits has been working with Autodesk on creating a computer system that allows geometry inputs to measure how 3D printed objects will be able to change post-print. 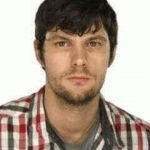 He also publishes a quarterly 3D Printing and Additive Manufacturing Journal and offers scientific insights to a lot of 3D printing topics. Tibbits sees all kinds of future applications for 4D printing. They range from sneakers that change how they fit on your feet based on what activities you are doing to or how clothing changes composition based on the weather. Within the context of MIT’s Self-Assembly Lab, this technology is merely one of several avenues pursued by Tibbits and his colleagues. Among the other technologies under research are molecular structures that organize into complex structures when they are agitated and other non-3D printing concepts. At Harvard’s Wyss Institute for Biologically Inspired Engineering, a team of scientists is studying a way that a special ink, known as hydrogel in. It changes shape and form when stimulated with water. Jennifer Lewis, Sc.D., L. Mahadevan, Ph.D., and Ralph Nuzzo, Ph.D. make up this team of exceptional scientists. Hydrogel ink works by allowing the objects that it prints on to change shape to form new structures which are similar to those found in flowers. The tissue microstructures and compositions of different plants change depending on the situation of their environments. 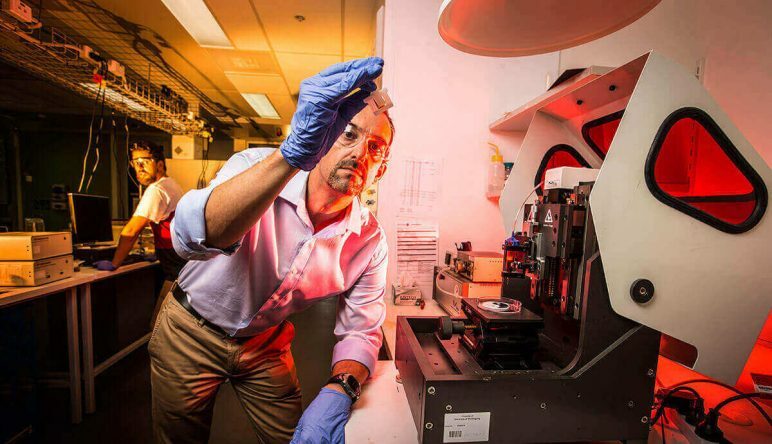 Wyss has replicated the process by developing 4D-printed hydrogel. Its composites are programmed to contain precise swelling, allowing 3D-printed flowers to change shape when exposed to water and other environmental changes. These composites containing specific cellulose fibrils derived from wood – that resemble the same microstructures that allow plants to change shape – are capable of mimicking the changes that plant organs undergo in response to humidity, temperature, and other environmental stimuli. This is a huge advancement because it allows for materials of varying compositions to be used in a printing process to achieve specific, measurable, accurate geometric results moving forward in various industries that may employ this technology in the future (think construction). At the University of Wollongong in Australia, Professor Marc in het Panhuis and a team of researchers have created the first 4D-printed water valve. It shuts when exposed to hot water and re-opens when hot temperatures subside by using a hydrogel ink that responds rapidly to heat. The team demonstrated the functioning of this water valve by pouring hot water through it. They showed how it closed instantaneously and then re-opened when cooler water was pumped through it. While this sort of process is young in nature, the team hopes that it can be put to multiple useful practices in reality in the biotechnology and medical fields in the intermediate future. As 4D printing is still an emerging technology, the approaches outlined have some drawbacks that have so far prevented its commercialization. To give an example, solid materials are laborious to manufacture, requiring five distinctive steps to prepare them for use. Enter the team around Zhen Ding at the Singapore University of Technology and Design. They developed a new process that integrates these five steps into one. To this end, the researchers used a commercially available Multimaterial 3D printer. 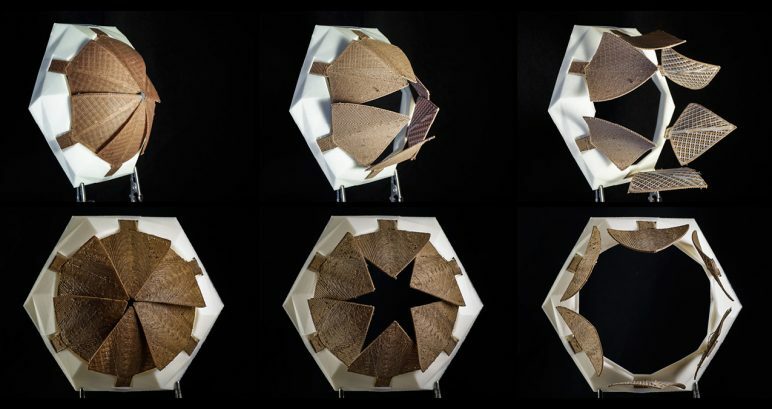 Zhen Ding’s research group demonstrated the new process with a range of test objects, like a flat star that curves into the shape of a dome or a flower whose petals close instantly upon touching warm water. With these exciting new findings the tide is slowly but surely turning towards commercially viable applications of 4D printing. The paper describing the methods and results of this newly developed approach is available for free download in Science Advances. 4D Printing 4D Printing: What's Next? As was mentioned above, 4D printing is in the adolescent stages of becoming a science. However, there are a few concentrated groups of scientists across the globe who believe that the practicality of 4D printing may become a reality and one of the fast growing technologies in the near or medium-term future. There are a variety of examples that truly show how far this technology has come. Think of simplistic folding objects to programmable shapeshifting materials and hydrogel composites. Years of research and testing will eventually lead to amazing inventions, such as adaptive medical implants, self-assembling buildings, and even 4D printed soft robots. The myriad of uses that can come from 4D printing technology are very enticing. So make sure to keep your eye on this new and engaging industry in the coming years as new developments facilitate the betterment of our lives in this wonderful world of tomorrow. License: The text of "4D Printing – All You Need to Know in 2018" by All3DP is licensed under a Creative Commons Attribution 4.0 International License.